Urban Flower Market is a Wayne NJ florist offering a new take on your neighborhood florist. Our focus is on fresh ecologically sound products. We have over 20 years experience in the floral niche. This experience translates into a selection that is nothing less than stellar. We take great pride in being as green as we can be. Whenever we can we support U.S. farms that share our values for quality and environmental care. Many of these U.S. flower farms are family owned, often 2nd or 3rd generation. We have longstanding relationships with these great flower farms and because of that relationship you get the very best quality and the newest varieties. We carry the finest fresh cut flowers in the tri-state area and pride ourselves on being the best Wayne NJ florist. We also carry a huge selection of wonderful plants. Fruit trees to plant in your yard as well as shrubs, perennials to beautify your outdoor space. We carry a ridiculously large selection of indoor plants as well. Indoor plants liven up and adorn your living space like nothing else. Having fresh living plants in your home helps increase the oxygen quality while cutting airborne contaminants. No pesticides here. We go are all about being as green and local as we can. Over the years we have developed a wonderful network of U.S. growers. This means we have the freshest flowers possible. We get daily shipments and first pick of the newest varieties. U.S. flower farmers have it rough. In our experience, U.S. flower farms offer the best quality. We take great pride in sourcing as local as we can. When we do need to source a product outside of the U.S. When we have to, we try to make sure that every product is fair trade. We have scoured the United States to find the best small farms. Many are 2nd or 3rd generation family owned flower farms that have the highest standards. We have longstanding relationships with the best U.S. growers. We do not accept any shipment that is not of the highest quality. Having the most beautiful cut flowers and plants in Wayne NJ is very important to us. 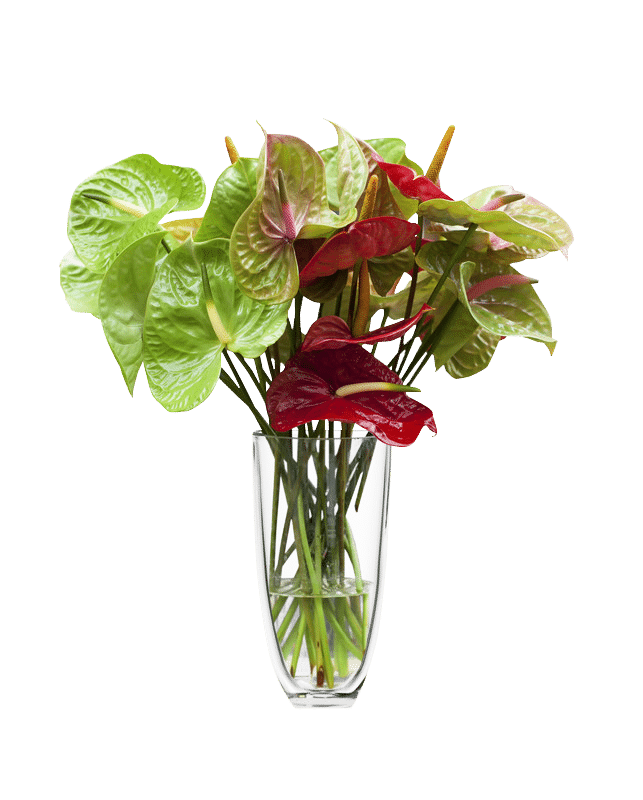 Every shipment is thoroughly checked to make sure it is a stunning shipment of flowers. We made a commitment when we opened to leaving the smallest environmental footprint we can. This is reflected in our eco-conscious packaging. Our bouquets are all wrapped with craft paper and bound with twine. Flower design is an art. The choice, the placement are all important factors in creating a stunning floral arrangement. Our staff features the tri-state areas best floral designers. A lot of effort and love goes into every bouquet we design.